Q: My husband is retired military and will turn 60 this year. He’s been told by his military buddies that he should apply soon for his CPP as then he can receive it and the bridge for the next five years. I thought he should be delaying on taking his CPP but perhaps it’s the OAS he should delay? Or neither? A: Some financial decisions can be tougher to make than others. You need to navigate advice from friends, professionals, and the media, as well as your own fears and biases. I often have people ask me very broad financial questions and my answer tends to be: “it depends.” I feel you should educate yourself and then evaluate the pros and cons, making the decision in large part based on what’s best for you. Sometimes, this differs from the advice of friends, professionals and the media. And that’s ok. Your husband’s military buddies, Evelyn, may have made the best decision for themselves and are certainly entitled to share their opinions. These opinions help you form your own. 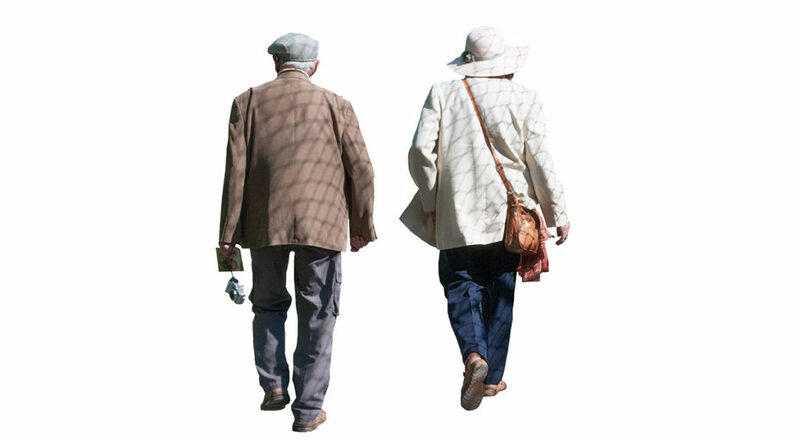 Early Canada Pension Plan (CPP) may even be the right decision for your husband. I should warn you though that some people make pension decisions based on misconceptions, so I want to share some of those up front. I have heard a few times that people think they can cheat the system by starting their CPP pension early while also receiving a bridge benefit as part of their defined benefit (DB) pension. A DB pension that includes a bridge benefit prior to age 65 is a way that some pension plans front-end load the pension on the assumption that most people don’t start other pensions like CPP or Old Age Security (OAS) until age 65. You can start CPP as early as 60 and OAS as early as 65. But neither your pension calculation nor the bridge benefit is based on when you actually start these other pensions. You can start your CPP as early as age 60, but like the military pension your husband receives, if you start a pension earlier, your payments are lower. CPP is reduced by 0.6% per month or 7.2% per year if you start it before 65. Starting CPP at 60 would therefore result in a 36% reduction, although your husband would receive the pension for five extra years over the remainder of his life. If CPP recipients live long enough, there’s a breakeven point in your 70s or 80s where starting later would result in more lifetime income. Those with longevity are often better deferring pensions as a result. And I’d say based on the life expectancy of someone who lives to age 60 in the first place, many pensioners would benefit from deferring their CPP pension and possibly starting it as late as age 70. If your husband is still working, Evelyn, and he starts his CPP pension at 60, he should note that he still needs to make CPP contributions until age 65. At 65, he can opt out of contributions. Any extra contributions he makes would increase his CPP pension entitlement (called a Post-Retirement Benefit or PRB). As far as whether it’s better to defer a CPP or OAS pension, the OAS pension can’t start until age 65, but if you defer it as late as 70, there’s a 0.6% monthly or 7.2% annual increase. CPP has a 0.7% monthly enhancement or 8.4% annual enhancement after 65. So, CPP is the more lucrative pension to defer. It also has the advantage of having a spousal benefit if a recipient dies, which reduces some of the risk of deferring the pension. OAS has no such spousal benefit. If you defer it and die before you start it, there’s no such safety net like there is with CPP. OAS has another intricacy as far as timing, Evelyn, specifically related to the OAS clawback that occurs if your net income on line 236 of your tax return exceeds $75,910 for 2018. Clawback results in 15 cents of every dollar of OAS being repayable to the extent your net income exceeds that threshold. So, if your husband is still working or chooses to draw down his RRSP after 65 and before 70, OAS deferral might make that much more sense. For some further perspective on the benefit of potentially deferring CPP and OAS, consider the early retirement discount for your husband’s military pension. If you start a Canadian Armed Forces pension prior to age 60 and you don’t have 30 years of service, there is a 5% discount per year on your pension. Conversely, that means there’s a 5% enhancement for delaying your pension past age 55. As mentioned, CPP offers a 7.2% enhancement to defer past age 60 and an 8.4% enhancement to defer past age 65. OAS offers a 7.2% enhancement to defer past age 65. I’ll suggest, Evelyn, that your husband considers deferring his CPP pension and revisits deferring his OAS at 65. This may prove beneficial for many reasons. The two reasons I’d be most inclined to start his CPP at 60 are if he expects a significantly shorter than average life expectancy or if you guys have high interest rate debt. But it’s ultimately up to you guys to consider the pros and cons and make the best decision for yourselves.